This entry was posted on March 25, 2019 by Chris Elliott. Yes, all types of wooden flooring need an expansion gap in order to expand and contract naturally with changes in their surroundings. If you do not leave a sufficient expansion gap when installing your wooden floor, it can lead to problems in the future. 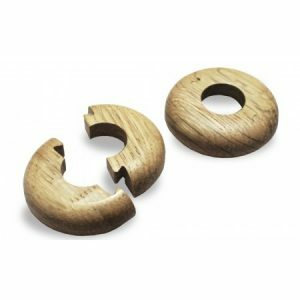 Don’t worry about the gap being noticeable, once your floor has been installed you can cover the gap with wooden flooring accessories. 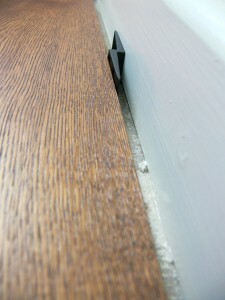 An expansion gap is a term associated with fitting a wooden floor. It is a gap or space that is left around the perimeter of the room. For hardwood floors a gap of at least 12mm should be left around the whole edge of the room, including all doorways, fire places and around any pipework. Both solid hardwood and engineered hardwood need an expansion gap. To make sure that the appropriately sized gap is left, you can use flooring spacers, which are then removed after installation. Why do I need an expansion gap? The reason that you need an expansion gap is to allow your wooden floor to naturally move. Hardwood is a natural product and will react to changes in the surrounding environment. In a warm and humid room, the flooring planks will absorb some of the moisture and slightly expand. In a cold, dry room the planks of flooring will naturally shrink. These movements are extremely natural and minimal. However, if the planks of flooring have no space to expand into, they can start to lift up or crack. The expansion gap allows the flooring to have room to move into. How can cover over the expansion gap?